Delos Van Earl Studios - "Ruby Clouds", mixed media sculpture. "Ruby Clouds", mixed media sculpture. 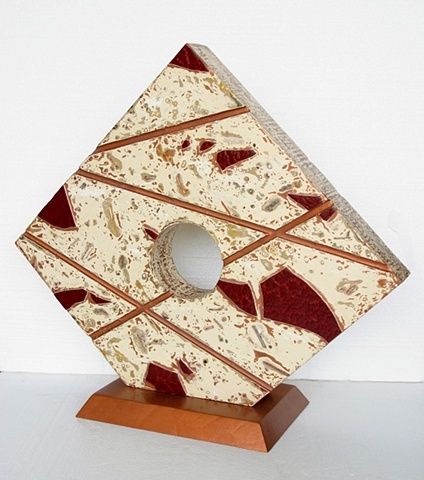 30" X 34" X 4"
"Clouded" ruby stained glass and copper lines on a creamy ivory background on a five-sided shape with a painted copper wooden base.